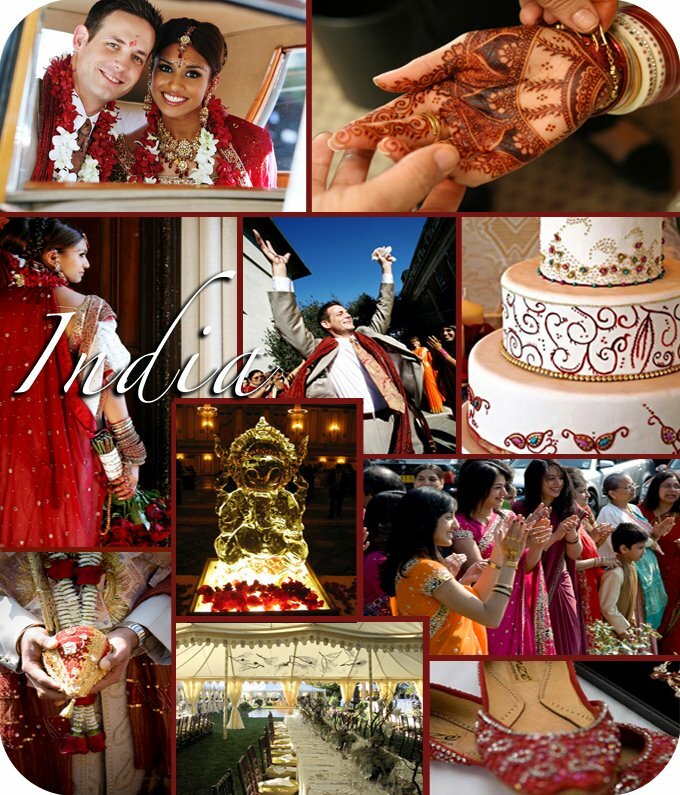 Traditional Indian Weddings are themselves some of the most beautiful ceremonies with stunning coloration and deeply steeped in tradition. We have combined several pieces from various indian weddings. A wonderful blog with some of the most exquisite photography is Maharani Weddings, which captures some of the more modern Indian experiences tied to the more traditional. Here we found Tejal and Jason's wedding. If you want to see some of the most elaborate tents available, then you have to go to the Raj Tents website. These are beyond tents. The word tent is transformed into dream settings and you have to go to this site to see for yourself what appears to be limitless options, such as walls and lighting and linings and ottomans and much much more. The cake is from I Dream of Cake and was created to match the lace on the gown of another bride. This site will also stir your imagination with ideas for cakes, some you might not even think possible. A very traditional carving, used in a less that traditional Indian wedding is the ice sculpture from Muhurtha Event Design. If you have had a recent wedding steeped in one tradition or another, we would love to hear from you.